Are you a working women/ college student/ Homemaker? Don’t have time to work out in gym? Here are tips to get lean without spending much on Gyms, and not wasting time. 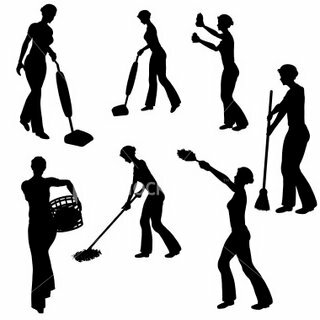 Get in to any of the cleaning activities like cleaning book shelf, Cupboards, Dirty Lofts, vacuuming, sweeping, mopping and gardening for three days in a week, as these activities can easily burn up to 300 calories. Cooking and gardening will burn 150 calories. Activities like vacuuming/ washing clothes / ironing / cleaning the closets needed to get done anyway, so here we can save money and time. Go ahead, Enjoy the benefits of getting lean and a clean house. Owners Envy, Neighbours pride ? Talk to us to know more on how you can lose weight, reduce fat percentage and be energized the whole day. Log on to www.Bodyfuelz.com or Call us at our Toll free number – 1800 200 4500. This entry was posted on November 12, 2009 at 5:36 am and filed under amino acids,Carnitine,health and fitness,health in office,life,Lifestyle,Nutrition,protein supplements. You can follow any responses to this entry through the RSS feed.